My dog will eat anything! 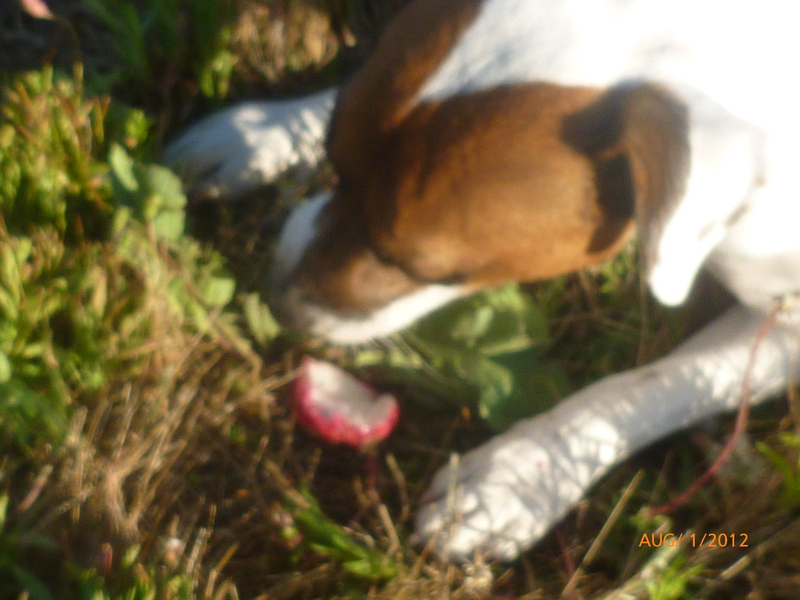 Just wanted to share this photo of my pooch munching on a radish. He’s such a strange dog: He’ll eat almost anything! I have to keep him out of the garden because he actually enjoys the carrots, radishes, potatoes, tomatoes, and other foods I have bursting in the soil! Miles, the pooch, gets SOOOO excited when I do my harvesting- but he’ll have to get the occasional bop and the word “NO” needs to be yelled sometimes to keep him from snatching any veggie I pull from the ground. Do any of your pets eat strange things? I’d love to see photos and hear stories! Please share! Enjoy the rest oof your weekend!